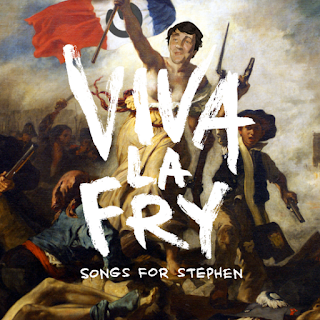 First of all, I’ve signed up to do a song for the ‘Viva la Fry‘ project. Click on the link for more details of what it is. I have no idea what to do for this, but my inclination is to keep it very simple, maybe just uke and vocal. No deadline has been set, other than ASAP, which is pretty non-specific. They’re still looking for participants, so if you’re interested in going head-to-head with Coldplay, take a look. If you’d like a bigger challenge, there is still time (until Monday) to sign on for the next edition of ‘Masters of Song Fu‘. Having done a few now, I can recommend the experience as a way to develop your songwriting chops and getting some useful feedback about your songs. I’m sitting this one out to concentrate on other things, but will be following along as spectator. Finally for now, I have submitted another short story to the Great Hites podcast. My first one seems to have been well-received, so the new one may appear within the next few days. More details if and when it does, but it is a more serious story which feeds into ‘Some Other Scotland‘. If you haven’t heard (or read) the first one – have a look at the site – you can subscribe to the whole podcast or just read the individual stories if you prefer.